COME JOIN THE FUN in DULUTH! CLICK HERE FOR YOUR PERSONAL GUIDE TO THE SHOW! NOTE: Children 12 & under get onto the show floor for free! Only umbrella sized strollers will be permitted on the show floor. *All online orders are subject to a one time $2.00 processing fee. Only one guest per order. Event is being held at the Infinite Energy Center – Forum Exhibit Hall. Lots – Parking is in the Forum parking is in the B1/B2/B3 lots. Street Access – Enter off of Satellite Blvd. Daily Rate – Parking is Free! Unloading –Convenient access on Lower Rotunda in front of the Forum Exhibit Hall. Shuttle –Shuttle service is offered to area parking lot. To make your visit extra suite/sweet, we’ve worked with the Holiday Inn Gwinnett Center to give attendees a special hotel discount. See below to find out how to take advantage of this promotion. Purchase your ticket online and get each days admission for $8.00. Visit a participating local store and purchase your discounted admission. BONUS: When you purchase your admission at a local store, you will also receive the I Support button. Visit a participating local store and receive a $2 off admission coupon. We bring the best in craft shopping and make & takes right to your local area. These stores and manufactures have the best variety of products and teachers in the country. Check out who will be there along with the many make & takes they have to offer! ** If you are not already on our email list be sure to sign up to ensure you receive these wonderful exhibitor coupons. MEGA MAKE & TAKE EXTRAVAGANZA! Are you ready for our MEGA Make & Take Extravaganza! 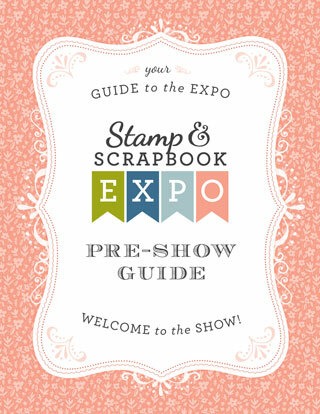 This MEGA event is sure to be one of your favorite events at the Scrapbook Expo! Do you remember the ''Totally Awesome'' 80’s? Grab your Boom Box and all of your ''Preppie'' friends and ''Break Dance'' down to this Totally 80’s crop Event! 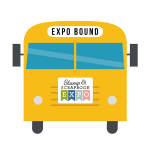 Hop on the Scrapbook Expo Express and spend a fun-filled day at the Scrapbook Expo. All your friends can ride together. Stay all day and relax on the way home! Hurry, space is limited, so sign up today! 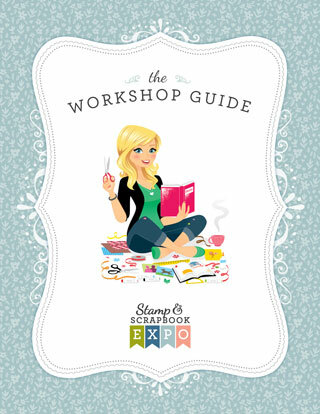 Stamp & Scrapbook Expo is bringing the very best instructors and class content right to your area! Whether you are new to paper crafting or have been scrapping for years, we have a workshop that will challenge your creativity and show you something new. Whether you are new to card making or have been making your own greeting cards for years, this is a great opportunity to get new ideas and meet other card makers! 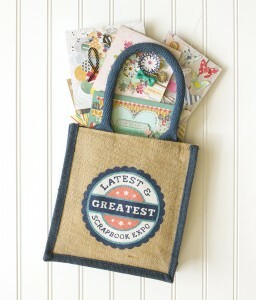 Receive up to 15 new card ideas from other crafters like you. 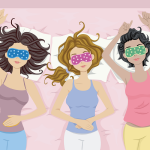 Friday Theme – Blue, Purple or Red color combination or a “Birthday or Get Well” theme. Saturday Theme – Cards using stamps and buttons. 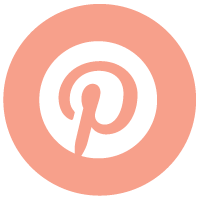 Are you interested in helping out at the Stamp & Scrapbook Expo? Then this is the place to be! We have a variety of Expo positions available which include: express will call, door prize, lobby attendant, door guard, crop/tool station. Positions will be made available on opening day of pre-registration. Cancellations and changes will be accepted until two weeks prior to the show. There is a $5.00 service charge for any changes or class cancellations once your registration has been received. Everyone is a winner at the Stamp & Scrapbook Expo! From our Complimentary Shopping Bag when you first walk in the door, to our Door Prizes given throughout the day. 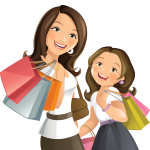 You are sure to walk away with many items and fond memories. Join us Early and get your Scraptacular ticket for your chance to win one of many prizes awarded from our preferred vendors. Scraptacular Tickets will be handed out starting at 8am with a paid admission. Scraptacular Tickets are limited and given out on a first come first serve basis. The Creativity Center at Stamp & Scrapbook Expo is a great way to spend a few minutes making a small project, learning a new technique and getting inspired. Plus, it's free! It’s easy! Simply collect four unique buttons from different stations around the Expo to earn an “I Conquered” button and lanyard. 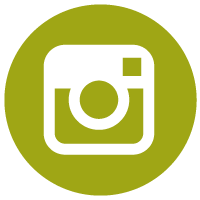 Learn more about our Keepsake Button Program. We appreciate all of our scrapbooking moms, however only small umbrella strollers are allowed on the show floor (infants unable to sit-up or handicapped will be allowed in other small single seat strollers). Jogging strollers and other strollers with a large wheel/base will not be permitted, no exceptions. This is to keep our aisles clear and safe for all guests to walk the floor. If you have a Bag or Stroller that does not meet the requirements you will be asked to stop by our Baggage claim and check your item. We know our scrappers love to shop and crop and having a wheeled bag/rolling cart is not only practical, but ideal. Unfortunately, these items are not permitted on the show floor (shopping area), however they are permitted in the crop area and classrooms. You're more than welcome to check your rolling tote in at our complimentary Baggage Claim area. As a service to all our guests we offer a Free Baggage Check at each show location. If you have any item that you would like to have held for you at the Free Baggage Check simply trade your items for a claim ticket. (Keep this ticket as it is your only way of getting your items back). It is recommended that you have your name on the bag or inside your bag for additional identification purposes. If you have a non-profit organization or women’s group and would like to run our Baggage Check please contact us at info@scrapbookexpo.com. It’s a great way to get the word out about your organization and get to attend the EXPO at the same time. In addition to emails about our Stamp & Scrapbook Expo Shows, we also have the following Email Lists you may want to signup to. Project inspiration in your inbox every week! Crafting related offers from promotional partners. 1.1 We are committed to safeguarding the privacy of [our website visitors, service users]. 1.2 This policy applies where we are acting as a data controller with respect to the personal data of [our website visitors and service users]; in other words, where we determine the purposes and means of the processing of that personal data. 1.4 Our website incorporates privacy controls which affect how we will process your personal data. By using the privacy controls, you can [specify whether you would like to receive direct marketing communications and limit the publication of your information]. You can access the privacy controls via [URL]. You must retain the above credit. Use of this document without the credit is an infringement of copyright. However, you can purchase from us an equivalent document that does not include the credit. 3.2 We may process [data about your use of our website and services] ("usage data"). The usage data may include [your IP address, geographical location, browser type and version, operating system, referral source, length of visit, page views and website navigation paths, as well as information about the timing, frequency and pattern of your service use]. The source of the usage data is [our analytics tracking system]. This usage data may be processed [for the purposes of analysing the use of the website and services]. The legal basis for this processing is [consent] OR [our legitimate interests, namely [monitoring and improving our website and services]] OR [[specify basis]]. 3.3 We may process [your account data] ("account data"). [ The account data may [include your name and email address]. ][ The source of the account data is [you or your employer].] The account data may be processed [for the purposes of operating our website, providing our services, ensuring the security of our website and services, maintaining back-ups of our databases and communicating with you.] The legal basis for this processing is [consent] OR [our legitimate interests, namely [the proper administration of our website and business]] OR [the performance of a contract between you and us and/or taking steps, at your request, to enter into such a contract] OR [[specify basis]]. 3.4 We may process [your information included in your personal profile on our website] ("profile data"). [ The profile data may include [your name, address, telephone number, email address, profile pictures, gender, date of birth, relationship status, interests and hobbies, educational details and employment details].] 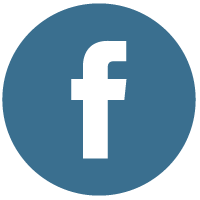 The profile data may be processed for [the purposes of enabling and monitoring your use of our website and services]. The legal basis for this processing is [consent] OR [our legitimate interests, namely [the proper administration of our website and business]] OR [the performance of a contract between you and us and/or taking steps, at you request, to enter into such a contract] OR [[specify basis]]. 3.5 We may process [your personal data that are provided in the course of the use of our services] ("service data"). [ The service data may include [specify data]. ][ The source of the service data is [you or your employer].] The service data may be processed [for the purposes of operating our website, providing our services, ensuring the security of our website and services, maintaining back-ups of our databases and communicating with you]. The legal basis for this processing is [consent] OR [our legitimate interests, namely [the proper administration of our website and business]] OR [the performance of a contract between you and us and/or taking steps, at your request, to enter into such a contract] OR [[specify basis]]. 3.6 We may process [information that you post for publication on our website or through our services] ("publication data"). The publication data may be processed [for the purposes of enabling such publication and administering our website and services]. The legal basis for this processing is [consent] OR [our legitimate interests, namely [the proper administration of our website and business]] OR [the performance of a contract between you and us and/or taking steps, at your request, to enter into such a contract] OR [[specify basis]]. 3.7 We may process [information contained in any enquiry you submit to us regarding goods and/or services] ("enquiry data"). The enquiry data may be processed [for the purposes of offering, marketing and selling relevant goods and/or services to you]. The legal basis for this processing is [consent] OR [[specify basis]]. 3.8 We may process [information relating to our customer relationships, including customer contact information] ("customer relationship data"). [ The customer relationship data may include [your name, your employer, your job title or role, your contact details, and information contained in communications between us and you or your employer]. ][ The source of the customer relationship data is [you or your employer].] The customer relationship data may be processed [for the purposes of managing our relationships with customers, communicating with customers, keeping records of those communications and promoting our products and services to customers]. The legal basis for this processing is [consent] OR [our legitimate interests, namely [the proper management of our customer relationships]] OR [[specify basis]]. 3.9 We may process [information relating to transactions, including purchases of goods and services, that you enter into with us and/or through our website] ("transaction data"). [ The transaction data may include [your contact details, your card details and the transaction details].] The transaction data may be processed [for the purpose of supplying the purchased goods and services and keeping proper records of those transactions]. The legal basis for this processing is [the performance of a contract between you and us and/or taking steps, at your request, to enter into such a contract and our legitimate interests, namely [the proper administration of our website and business]] OR [[specify basis]]. 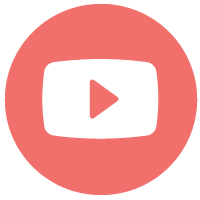 3.10 We may process [information that you provide to us for the purpose of subscribing to our email notifications and/or newsletters] ("notification data"). The notification data may be processed [for the purposes of sending you the relevant notifications and/or newsletters]. The legal basis for this processing is [consent] OR [the performance of a contract between you and us and/or taking steps, at your request, to enter into such a contract] OR [[specify basis]]. 3.11 We may process [information contained in or relating to any communication that you send to us] ("correspondence data"). The correspondence data may include [the communication content and metadata associated with the communication]. 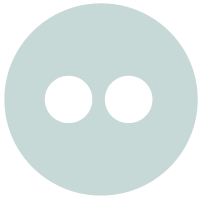 [ Our website will generate the metadata associated with communications made using the website contact forms.] The correspondence data may be processed [for the purposes of communicating with you and record-keeping]. The legal basis for this processing is [our legitimate interests, namely [the proper administration of our website and business and communications with users]] OR [[specify basis]]. 3.12 We may process [identify general category of data]. [ This data may include [list specific items of data]. ][ The source of this data is [identify source].] This data may be processed for [specify purposes]. The legal basis for this processing is [consent] OR [our legitimate interests, namely [specify legitimate interests]] OR [the performance of a contract between you and us and/or taking steps, at your request, to enter into such a contract] OR [[specify basis]]. 3.13 We may process [any of your personal data identified in this policy] where necessary for [the establishment, exercise or defence of legal claims, whether in court proceedings or in an administrative or out-of-court procedure]. The legal basis for this processing is our legitimate interests, namely [the protection and assertion of our legal rights, your legal rights and the legal rights of others]. 3.14 We may process [any of your personal data identified in this policy] where necessary for [the purposes of obtaining or maintaining insurance coverage, managing risks, or obtaining professional advice]. The legal basis for this processing is our legitimate interests, namely [the proper protection of our business against risks]. 3.15 In addition to the specific purposes for which we may process your personal data set out in this Section 3, we may also process [any of your personal data] where such processing is necessary[ for compliance with a legal obligation to which we are subject, or] in order to protect your vital interests or the vital interests of another natural person. 3.16 Please do not supply any other person's personal data to us, unless we prompt you to do so. 4.2 We may disclose [your personal data] to [our insurers and/or professional advisers] insofar as reasonably necessary for the purposes of [obtaining or maintaining insurance coverage, managing risks, obtaining professional advice, or the establishment, exercise or defence of legal claims, whether in court proceedings or in an administrative or out-of-court procedure]. 4.3 We may disclose [specify personal data category or categories] to [our suppliers or subcontractors][ identified at [URL]] insofar as reasonably necessary for [specify purposes]. 4.4 Financial transactions relating to [our website and services] [are] OR [may be] handled by our payment services providers, [identify PSPs]. We will share transaction data with our payment services providers only to the extent necessary for the purposes of [processing your payments, refunding such payments and dealing with complaints and queries relating to such payments and refunds]. You can find information about the payment services providers' privacy policies and practices at [URLs]. 5.1 In this Section 5, we provide information about the circumstances in which your personal data may be transferred to [countries outside the European Economic Area (EEA)]. 5.5 You acknowledge that [personal data that you submit for publication through our website or services] may be available, via the internet, around the world. We cannot prevent the use (or misuse) of such personal data by others. (a) [personal data category or categories] will be retained for a minimum period of [period] following [date], and for a maximum period of [period] following [date]. (a) the period of retention of [personal data category] will be determined based on [specify criteria]. 7.3 We [may] OR [will] notify you of [changes] OR [significant changes] to this policy [by email or through the private messaging system on our website]. 13.1 This website is owned and operated by [name]. 13.2 We are registered in [England and Wales] under registration number [number], and our registered office is at [address]. 13.3 Our principal place of business is at [address]. 14.1 Our data protection officer's contact details are: [contact details].